There are many facade access solutions for all types of architecture, no matter how complex by using a range of movement options and vertical access expertise. To a large extent, building access systems are about designing, manufacturing and installing Building Maintenance Units which allow operators to move around the entire facade effectively and, above all, safely. Bearing that in mind, the range of movement the BMU provides will be a key factor in any project. Depending on the specific building parameters and the specifications of the client, only a BMU specialist like Manntech can offer the full range of movement options to meet any facade access needs. Luffing refers to the range of vertical (up and down) movement. For Building Maintenance Units, luffing is used primarily to refer to the range of vertical motion offered by the jib arm. In contrast to a fixed, static arm, a BMU with jib luffing allows the jib to be raised or lowered if, for instance, it is necessary to navigate a parapet or other building features. 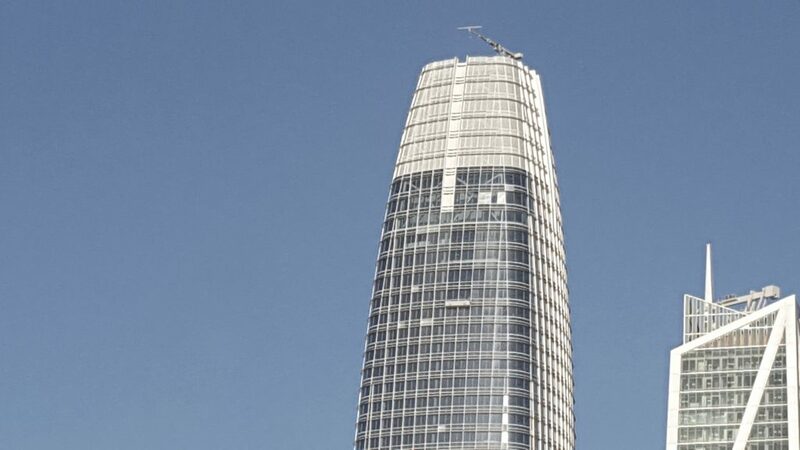 More advanced BMUs such as those found at Salesforce Tower, San Francisco, feature Z-luffing, also known as a parallelogram system, to lower the jib when not in use and reduce the visual impact of the machine in its parked position. This term refers to horizontal rotation and can apply to both the jib and the cradle. The jib arm or the turret of the building maintenance unit itself should commonly provide slewing, horizontal rotation so the cradle can be launched over the side of the building and returned to the roof for operators to exit safely. Slewing is also an option at the cross bar or spreader bar where the cradle is connected to the jib, which allows horizontal rotation of the cradle and offers operators greater manoeuvrability and safe access to more complex building features. 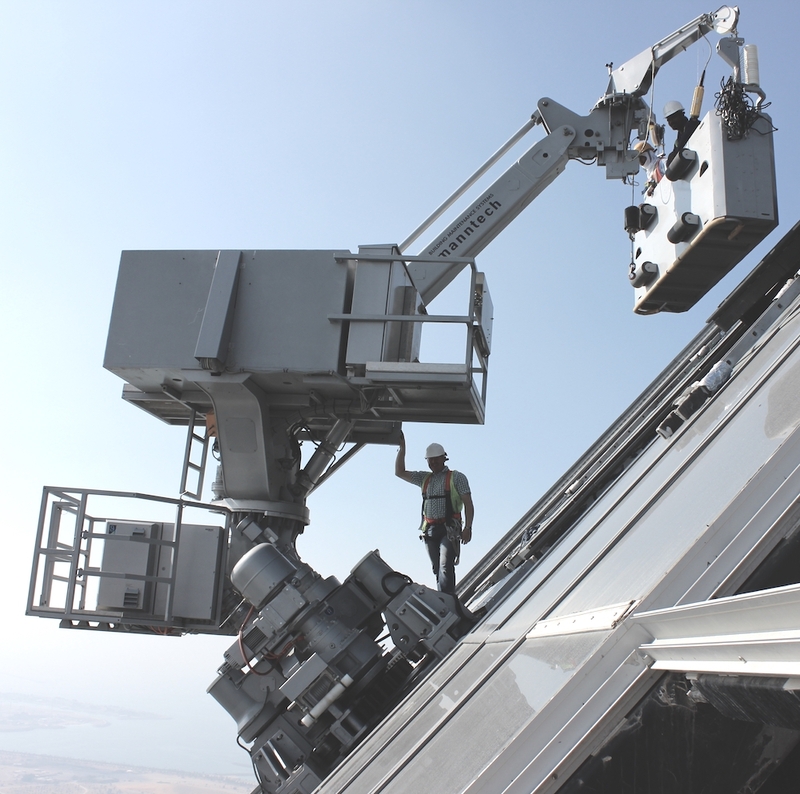 For more challenging projects, such as World Trade Centre in Abu Dhabi, the BMU rotates on the roof with a computerised control system automatically compensating for the positioning at the slewing ring. Telescopic jibs are engineered with a number of sections which extend as required and offer an impressive range of functionality. 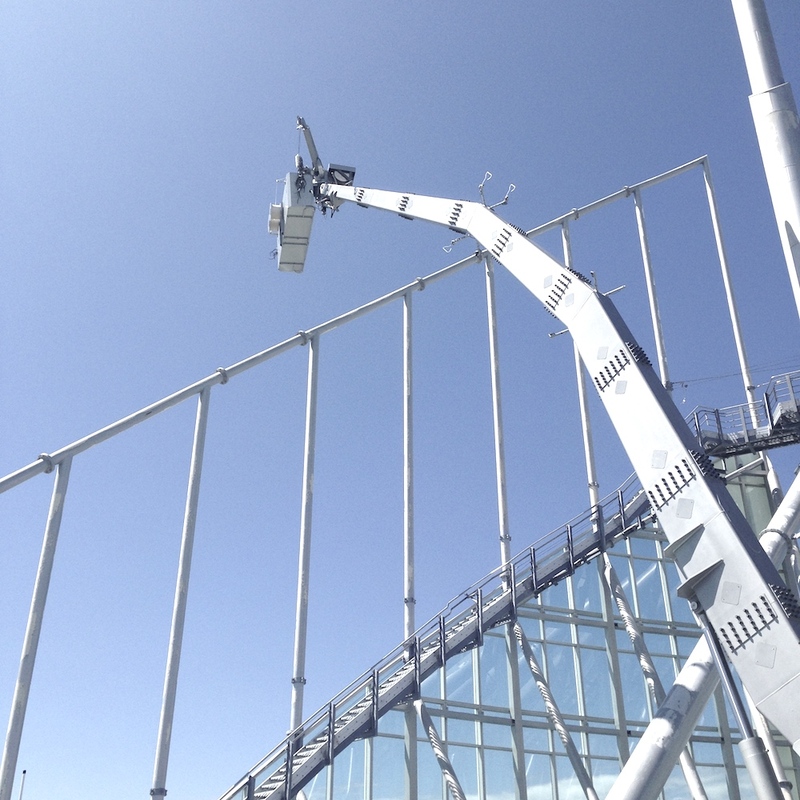 This means the jib can be adjusted in length to the required outreach for various sections of the facade and be retracted when not in use to minimise roof space requirements and visual impact. Telescopic masts are also designed in the same way to provide a greater range of vertical movement, while also retracting to a compact size when not in use. Highlight Towers in Munich, for example features a BMU with a double telescopic jib and telescopic mast which provides an outreach of up to 19m and retracts to just 7 metres, allowing the unit to be almost entirely hidden from view in parked position. As a BMU specialist, Manntech is able to provide facade access solutions for all types of architecture, no matter how complex by using the above range of movement options and vertical access expertise.